I’ve always believed in that cliché that sport is a social phenomenon. In particular, I strongly believe in the power of volleyball to be a changing factor in our society. 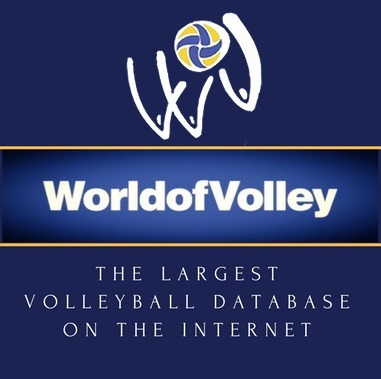 But here is a bit of pre-history to this blog post, which is more about these different points that at the end brought to me a conclusion about social impact that volleyball people have on important topics. 1. In the last days I’ve started reading a book about The Strategies of Communication and the Social Change. This book is about all the cultural signs that we use in our societies when it comes to sending messages to the audience and the way we want this audience to perceive these messages. 2. Also, yesterday I came across a photo of the big volleyball star Sheilla Castro. Maybe you have seen it – on the image you can see Sheilla only with a pair of trousers, acting as an ambassador of a campaign that’s been getting more and more popular in the past years – The Battle against the Breast Cancer (in this case the campaing was set by Asics). 3. For several months I’ve been involved in a case of a woman who is currently battling breast cancer (thanks God, I am just giving her a helping hand and I really hope things will turn out good for the girl eventually). I had to visit the oncology hospital in Barcelona several times, and I swear – it’s definitely not the best place to be. You can see tortured people whose eyes are dry from too much crying; you can also see people who have accepted their destiny; you can also see fighters. You can meet doctors that give their best in order to save someone’s life. What surprised me at first was the natural way (if I can call it so) people are “moving” there – at first they feel shocked but then again they have two ways on how to react: there is either the “Life goes on” moment or the “The End of it All” pain. Of course, there is this third group of people who turn out to be the Positive Ones that are ready to climb that mountain and win the battle. Now, you could ask me, where is the correlation between all these points? The truth is that famous people have a great impact on the society because of the thousands of people who follow them. And it’s good to use this “force” by giving good examples and attracting the attention on important topics such as the one of battling cancer. As a volleyball lover, I am happy to see that volleyball stars contribute to society, trying to make a positive social change. In media world we have an expression for the person whose opinion is very likely to be listened to. This person is the Opinion Leader. And while volleyball players are leaders on the volleyball court, I strongly believe they could also be opinion leaders out of it. They could jump the barrier between sports andsociety, sending messages to their fans using the popularity that they have gained thanks to volleyball, in our case. Being famous means you are not only being recognized on the street, but you are also the one having bigger responsibilities to society. Because people would listen to your voice. And maybe because of this voice someone could save their life. Who knows? P.S. I am also taking this opportunity to ask you, guys, to check your health regularly and not to forget to stay positive in situations that are difficult to handle, because lots of things and results depend on how we accept a situation (this is what I noticed in all the hospital visits I am talking about in point 3 and this is why I mentioned it).